Why should I study at HECTOR School? The HECTOR School is the Technology Business School of the Karlsruhe Institute of Technology (KIT). We offer Executive Master Programs (part-time), Certificate Courses, and Customized Partner Programs. What are 4 outstanding reasons to study at HECTOR School? from one of the best engineering universities worldwide, the Karlsruhe Institute of Technology (KIT). are fostered by our holistic lifelong learning approach, combining technology & management know-how. is supported professionally between academia and industry as well as across industries worldwide. What Masters Programs are offered at HECTOR School? Are your studies at HECTOR School compatible with your job? The HECTOR School programs allow their participants to gain high-level academic qualification while being able to work at the same time. Due to the part-time approach of all programs, professionals can continue their challenging careers. What are the requirements to apply at HECTOR School? What job experience do I need to have? What level of knowledge is needed to be accepted? Each master’s program has individual knowledge requirements. Please read our page about our admission requirements for further information. Where can I apply at HECTOR School? You have to apply through our online application portal. Are there deadlines until when I have to apply? 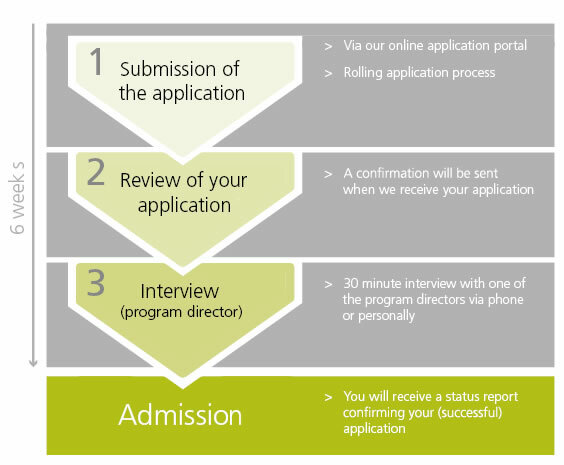 For a program start in October, applications need to be submitted as soon as possible. Especially if a visa is required please keep in mind that the visa process may take several weeks. How much does the Master of Science cost? The tuition fee for the entire M.Sc. Program is 30,000 € (thirty thousand EUR). Please note that this fee is tax-deductible. For detailed information please check out our information about costs and fees. How do the fees have to be paid? The fees will be paid in three rates of 10.000€ each. Is it possible to get a scholarship from HECTOR School? Usually, the HECTOR School does not offer scholarships. Please read our information about financial support. I have already attended a very similar lecture from the curriculum in a previous study program/extramural course. Is it possible to have this achievement recognized? Achievements from previous study programs/extramural courses may be recognized if the competences you have acquired are equivalent to those that shall be replaced. If you want to have a previous achievement recognized, please follow the instructions from the figure and hand in the application form together with a course description and a transcript of records to the Examination Office of the HECTOR School. Be aware that your application must be sent within the first semester of enrollment. Do I have to attend at HECTOR School to study or can I study online? Yes, attendance is mandatory at HECTOR School. We believe that meeting your professors and student colleagues in person is helping you to gain valuable knowledge and skills. If you are unable to attend, an official excuse including reason must be provided before the start of the module. If you become ill, an attestation must be provided within three days. How often do I have to be at HECTOR School? The Master Program is split in 5 Engineering and 5 Management Modules of 2 weeks, each over a period of 15 months. The modules are followed by a master thesis written in the company (EEM: 9 months) and often used as an innovation project for the company. The overall duration is approx. 20 months. Please have a look at the time tables in the information download section. Can I pursue a PhD program after completing my Master's degree from HECTOR School? Each university and department has individual regulations with respect to requirements for a PhD. Therefore, we recommend checking the individual promotion regulation of your preferred university. A Master’s degree from HECTOR School generally allows you to start a PhD at the three departments of the KIT that are involved in our programs: Department of Economics and Management, Department of Mechanical Engineering, Department of Electrical Engineering and Information Technology. Please check their program regulation with respect to the required Master grade and further specifications. Exams take place during the modules either on Saturdays, during lectures or during the week in the evening. What type of exams will there be? Exams can be written or oral. In some lectures you might be asked to hold a presentation or do a case study. 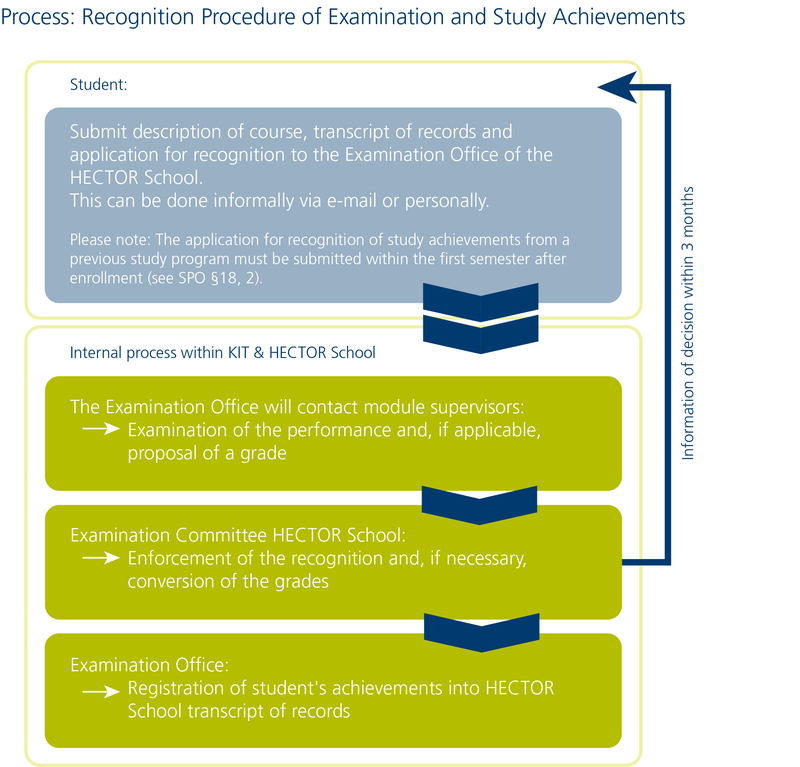 What are the exam regulations for my studies at HECTOR School? The course of studies, examinations, and graduation is described in the official Study and Examination Regulations. How do I have to enroll for examination? Attendance of lecture serves automatically as exam registration. If you are unable to participate in the exam an official excuse must be issued, prior to exam start. If you fail an exam you have one more possibility left to repeat the exam. The repetition of the Exam is possible during the next two modules and has to be in the same mode like the first Exam. The dates will be organized in cooperation with the Examination Office.